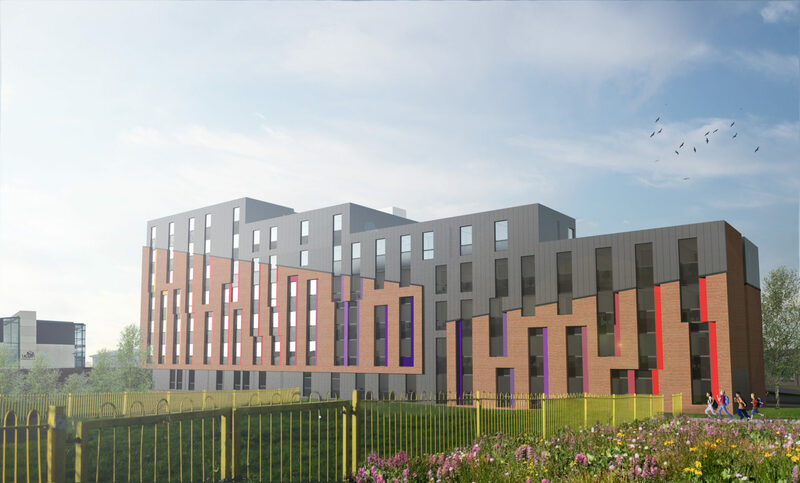 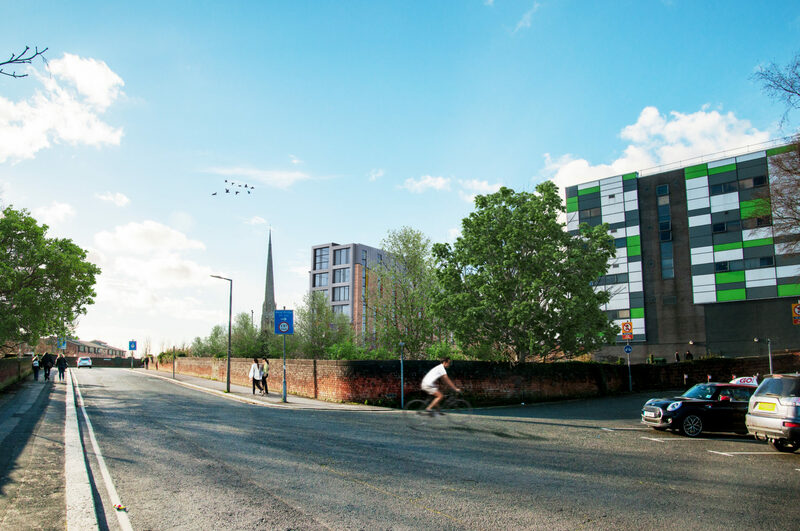 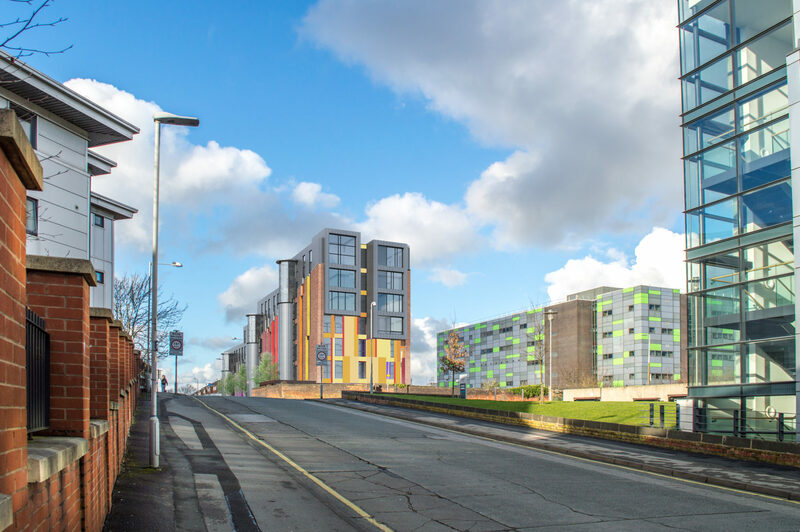 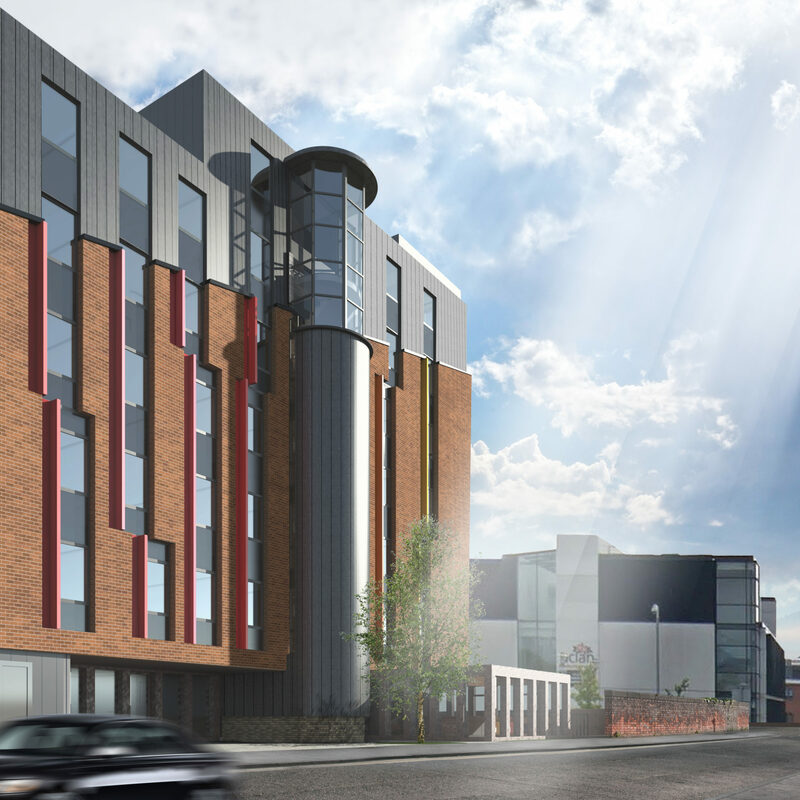 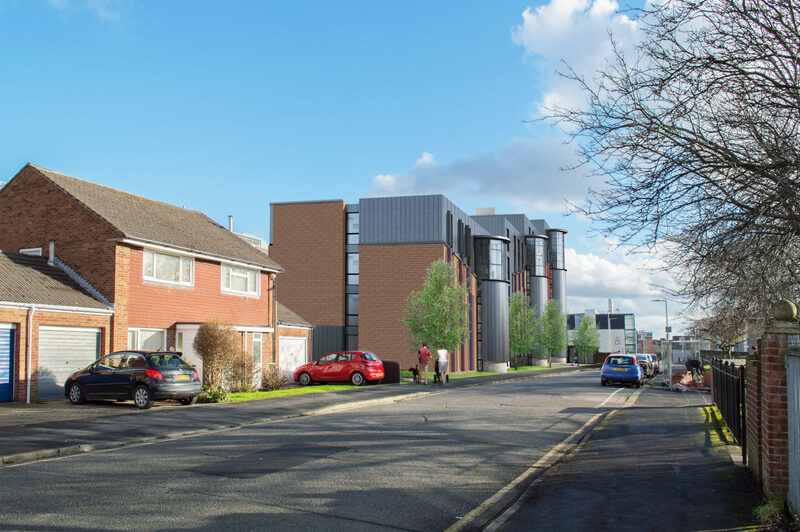 Proposals for a high quality student accommodation block to provide 150 beds in a mixture of cluster flats and self-contained studios. 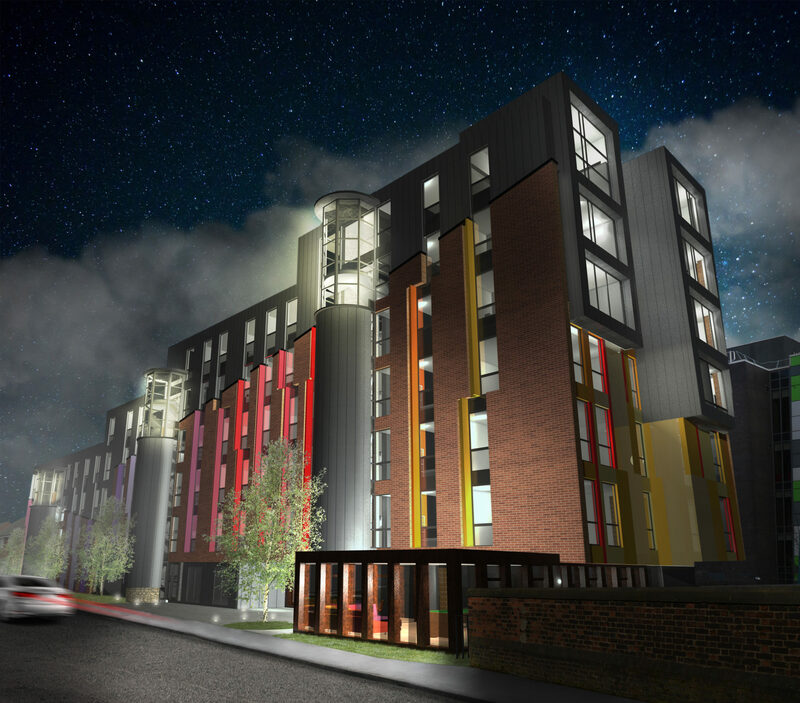 The site, formerly occupied by a social club which is now derelict, is ideally situated within the main campus of the University of Central Lancashire. 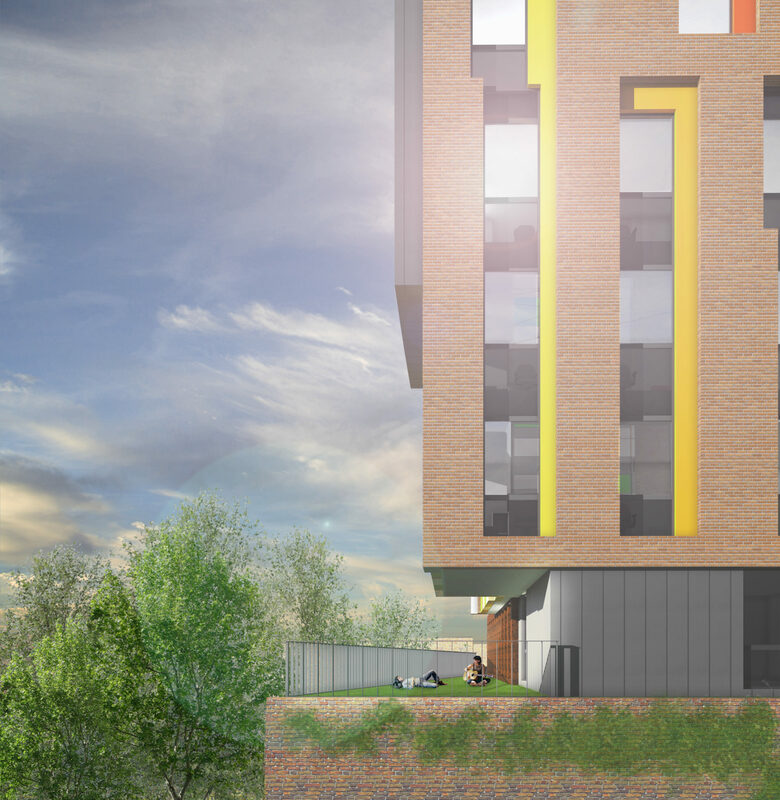 Our brief was to create a visually exciting building which would revitalise the area. 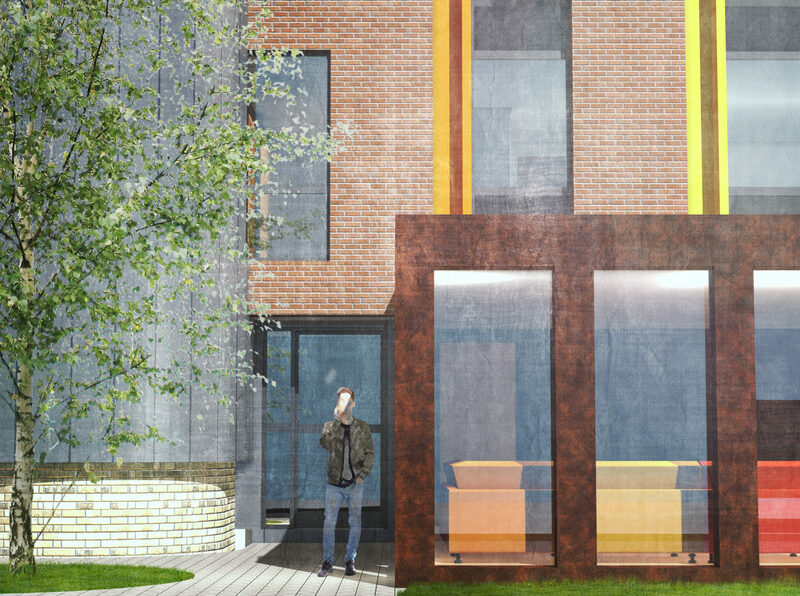 Cladding panels will be used throughout the scheme to enliven the facades and, through grading, provide a sense of movement along the main frontages.